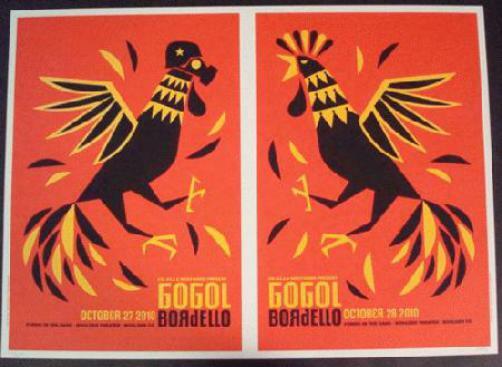 Original UNCUT PROOF concert poster for Gogol Bordello at The Boulder Theatre in Boulder, Colorado for Halloween in 2010. This is an UNCUT ARTIST PROOF signed and numbered out of only 62 by the artist Dan Stiles. Total size of UNCUT proof is 32 x 23 inches.